NMB Italia » What is EMS? EMS（Electro Mechanics Solutions™*） offers an integrated solution which will meet our customer needs. It is not simply a component solution. 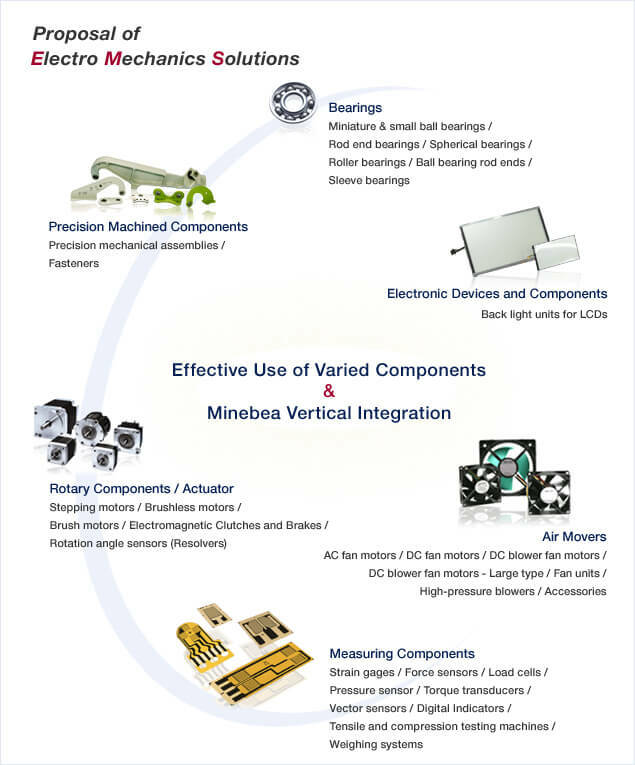 It is a completed assembly based on our extensive experience of Mechanical Assemblies, Rotary Components, Electronic Devices and Measuring Components. * “Electro Mechanics Solutions” is a registered trademark in Japan of MinebeaMitsumi Inc.
Its registration number is 5322479.